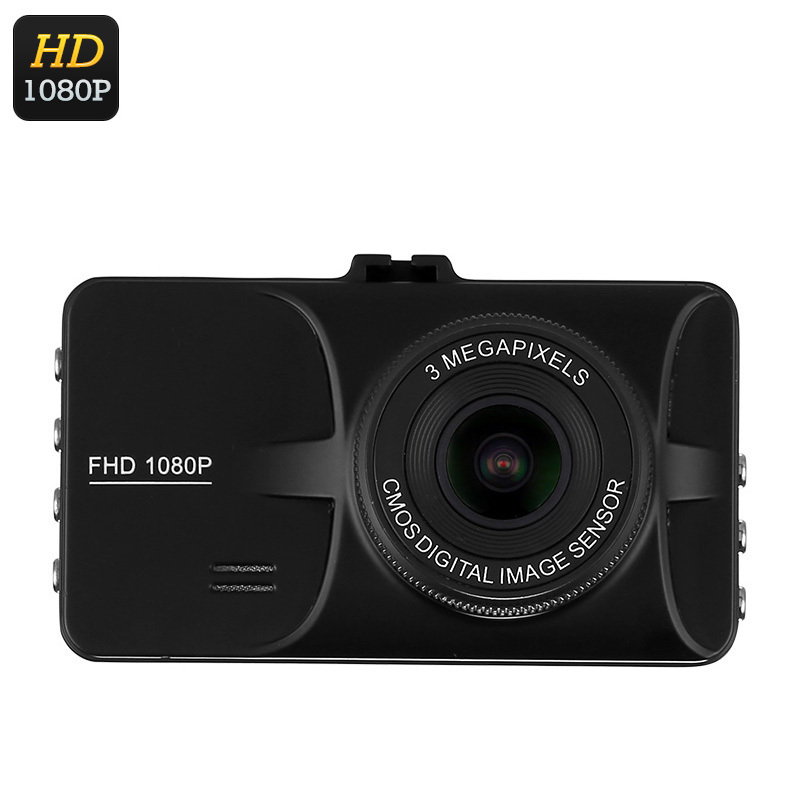 Successfully Added 1080p Car DVR - 3-Inch Display, 140-Degree View Angle, G-Sensor, Motion Detection, 12MP Pictures, Full-HD Video to your Shopping Cart. This FHD car DVR supports a 140-degree wide-angle lens. Therefore, you can be guaranteed that it records even the slightest of events happening in front of your car. With this dash camera at your side, not a single detail will stay uncaptured. On its 3-Inch display, this car accessory allows you to instantly watch back previous recordings and snapped photographs. To make sure you’ll be treated to sharp images in every weather condition, the car DVR features automatic white balancing technology. A loop recording function makes sure that your DVR’s memory won’t get filled up with unnecessary recordings. With its small and compact design, it can be installed easily anywhere in your car. Simply attach it to your windscreen and you’ll be ready to go. This car DVR is guaranteed to increase your safety on the road significantly and makes sure you’ll never get stuck in false insurance claims again. This 1080p Car DVR comes with a 12 months warranty, brought to you by the leader in electronic devices as well as wholesale car accessories..